Nest - a 'crazy idea' at a crazy price? What kind of business could you buy for $3.2bn - or about £2bn? Well, in the UK you could pick up the construction giant Balfour Beatty, which employs more than 10,000 people, or the only remaining High Street electronics chain Dixons, with a workforce of more than 30,000. Or, if you are Google, that is what you can pay for a tiny connected home business employing just 300 people. 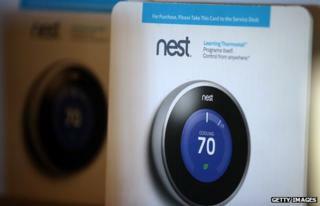 Nest is certainly a clever company, founded by two former Apple executives, Tony Fadell and Matt Rogers. But its first product, a smart "learning" thermostat which allows you to control the heating from your smartphone, only went on sale two years ago and is only available in the US and Canada. Nest, on the other hand, is a hardware business, and its struggle to adapt its thermostat for a UK launch - "be patient, it'll come," says Tony Fadell - shows that global growth poses different challenges for that kind of firm. Yes, the Nest looks lovely, its design showing the Apple flair of its creators. And the smart energy market is poised for rapid growth, with lots of companies piling in as I wrote a couple of months ago. But I put it to Fadell when I caught up with him on the phone last night that his thermostat was a niche product, appealing to a limited audience, and he'd struggle to justify the $3.2bn price tag: "I beg to differ," he told me. "People are buying it because of the cost savings they see." And he went on when I suggested that Google was still paying a huge multiple of Nest earnings, "our revenues might be higher than you think..."
In a 10-minute chat we covered a lot of ground. Google's Sergey Brin had first been shown a prototype of the Nest in 2011, many of the firm's executives had installed it in their homes and the relationship had turned into merger talk last summer. "They've always been keen on what we were doing because they thought we had a crazy idea and they love crazy ideas," says Fadell. I asked him what plans Google now had for new products. He said CEO Larry Page had just told a Nest staff meeting, "you guys already had a great vision. We believe in your vision of the roadmap that we've seen - just do it with all the Google resources behind you and hopefully make it happen faster." But what about privacy? Would Nest customers be happy that Google now knew what time they were leaving their homes? But more interestingly he went on: "Already there's all kinds of things that Apple and Google collect from your smartphone. They already know a lot more about you than we actually do." Now Google, which is making its way into connected cars, has just bought a clutch of robotics companies and whose Glass product will deliver lots more data about its users, is entering the connected home market. So, $3.2bn might sound a lot of money - but to the search giant which generates about $15bn in revenues every quarter it is small change. And of course, a chance to put one over on Apple, moving into a territory where the Cupertino firm must have its own ambitions by snapping up a firm founded by former executives, must have made it even more attractive.